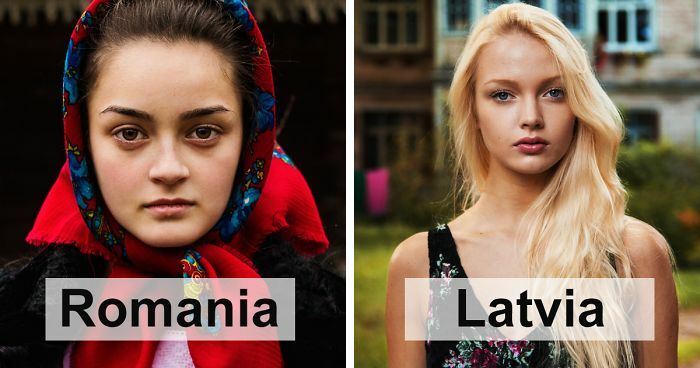 Beauty is everywhere and Mihaela Noroc, a Romanian portrait photographer is continuing her journey to prove it by traveling the world and photographing beautiful women. Her project is called "The Atlas of Beauty", and she posted the photos from 37 countries on Bored Panda roughly a year ago. Now, she is back with more beautiful pictures! Beauty standards around the world can vary greatly, though sincerity and pure elegance, always wins compared to the ones depicted in social media. "In the past two years I traveled around the world, and captured hundreds of portrait photography shots in diverse environments," she wrote on Bored Panda. "My goal is to show that allure is in our differences, not in trends, Beauty standards, money or race." "Through my photography, I want to capture that feeling of warmth and serenity which is so specific to the most beautiful women in the world and comes to balance all the negativity we see in the media. I think people should be more aware of other cultures and beauty can teach us to be more tolerant." She looks a lot like Kat Graham! Gorgeous! And not just the women......the photos are lovely. This one is my favourite. Her face/lips, her clothing...just looks different than others. Daca nu a pozat pitipoance nuca place Aaa? Trebuie sa vezi Frumusețea in naturalețe si in puritatea ce o exprima! Se vede ca va uitați numai la un show păcătos, Măruță, acces direct si ce-om povesti! I see the fire in her eyes! Simple n cute...love the face.. Her eyes remind me of a lion... What a strong, gorgeous woman! The photographer wasn't looking for the most British girl from England or the most Turkish girl from Turkey. They are capturing many different aspect of beautiful women. This is made to be empowering not bitchy and critical. I think she's lovely! This pic summaries how women stand on the on eet against all difficulties. Love it! gorgeous ebony beauty! her skin is FLAWLESS! Fierce! Like it, love it! Captivating eyes!!!! And sharp looks!!! How did she go to North Korea? This woman's eye's tugs at my heart string's. She looks so rebellious, her bangs and her piercings create that effect, I guess. Why are there limited photos for the women from South East Asia? The face paint is so intriguing.